â€¢ Mazenâ€™s Fitness & Health App List. â€¢ Guest Post: iFitnessHD iPad App. â€¢ Jarir Manipulates iPhone 4 Prices & Specs. â€¢ Guest Post: AppShopper, the App Loverâ€™s App. â€¢ How to find your apps in iTunes 10.
â€¢ Instant Search for the App Store. â€¢ Official Arabic support in the iPad with iOS 4.2.
â€¢ Notifications the way you like it, NotifyMe 2 review. 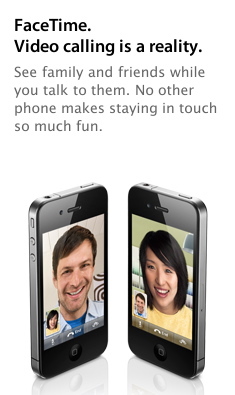 â€¢ FaceTime gone from Appleâ€™s Middle East iPhone 4 pages. â€¢ UAEâ€™s Etisalat to launch iPhone 4 on September 25th. â€¢ Mobilyâ€™s CIO talks about the iPhone 4 launch on Twitter. â€¢ iPhone 4 in Egypt soon from Mobinil and Vodafone. â€¢ iPhone 4 in Qatar soon. â€¢ Du Confirms that FaceTime is unavailable in UAE. â€¢ Photos of the Mobily iPhone 4 shipment. â€¢ iPhone 4 in Tunisia today September 24.
â€¢ Etisalat and Du iPhone 4 plans in UAE. â€¢ iPhone 4 to be launched in Qatar today. â€¢ iPhone 4 to be sold in Saudi Arabia tomorrow, Mobily finally announced. â€¢ Mobily iPhone 4 bundle prices â€“ updated. â€¢ Share your Mobily iPhone 4 experience. â€¢ Mobily iPhone 4 launch â€œeventâ€ photos â€“ Update 1.
â€¢ FaceTime works with Mobily iPhone 4, just donâ€™t upgrade to iOS 4.1.
â€¢ Apple iPhone 4 from Mobily is officially unlocked. â€¢ Mobily reportedly sold 7000 iPhone 4 on first day. â€¢ Saudi Telecom Company to sell iPhone 4.
â€¢ Mobily blames CITC for blocking FaceTime. â€¢ iPhone 4 released in Egypt a few hours ago. â€¢ iPad to get Arabic support with iOS 4.2 in November. â€¢ New tiny iPod Shuffle from Apple. â€¢ iPod nano with a multi-touch screen. â€¢ iPod touch with Retina display and camera. â€¢ iTunes 10 with social networks. â€¢ New iPod touch & iPod nano ads. â€¢ Apple TV, will Saudis get it?. â€¢ Apple posts iPod event video. â€¢ iOS Developer Program instead of iPhone. â€¢ Video: iPad is Musical ad by Apple. â€¢ Incipio Linq turns the iPod nano into a wrist watch. â€¢ Axiom selling an iPhone from the future!. â€¢ Apple Publishes App Store Review Guidelines. â€¢ iPod nano hands on. â€¢ iPad OS 4.2 Videos. â€¢ Apple 27-inch LED Cinema Display is now available. â€¢ iPod nano as a name badge. â€¢ iPhone first in J.D. Powerâ€™s survey for the fourth time. â€¢ Apple TV (second gen) Teardown. â€¢ Twitter releases official iPad app. â€¢ iOS 4.1 for the iPhone and iPod touch. â€¢ Apple releases Xcode 4 developer preview 3.
â€¢ Safari 5.0.2 & Safari 4.1.2 Updates. â€¢ Find My iPhone App Updated. â€¢ MobileMe iDisk App Updated. â€¢ Apple releases iMovie 1.1 update. â€¢ iOS 4.1 update released. â€¢ Buying a car in Egypt? Thereâ€™s an app for that. â€¢ GTA on the iPad, coming to the Mac. â€¢ GetGlue iPad app released. â€¢ Apple releases printer driver updates. â€¢ QuickTime 7.6.8 for Windows. â€¢ Pro Applications Update 2010-02.
â€¢ Security Update 2010-006 for Snow Leopard. â€¢ Saudi Emergency Numbers Dialer App: Tawari. â€¢ iWork for iPad adds file transfer and office support. â€¢ 2Do for iPad preview. â€¢ Remote 2.0 app adds support for iPad, Retina Display. â€¢ Angry Birds updated with Game Center support.